Niki de Saint Phalle’s Tarot Garden : a world of pure magic. 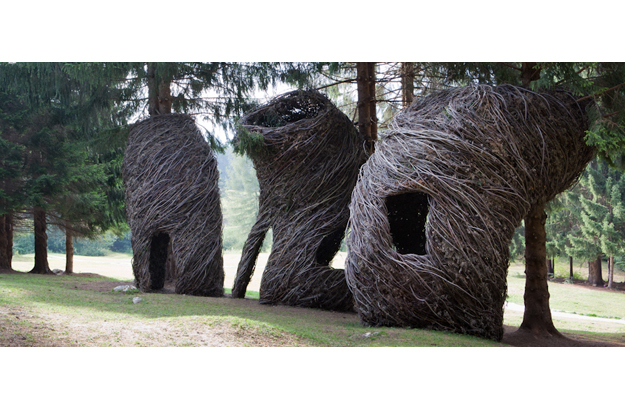 In the Italian Alps, the Arte Sella land art project is just breathtaking. Children can’t get enough of the Artichoke festival of Chiusure. 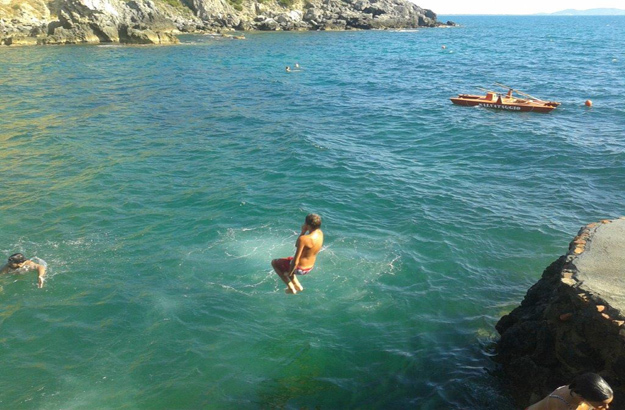 In Talamone, kids and grown-ups jump off the high rocks right into the sea. Children love to play and paddle in the famous hot springs of Saturnia. In my last post, we began a roundup of interesting things to do in Italy when you are parents with children. We had a close look at three of the activities which I particularly recommend. Today, I’ll be suggesting four more. Italy’s flora and fauna are inexhaustible sources of fun and wonder for kids. The prospect of a mere hike in the countryside probably won’t make any youngster jump for joy. 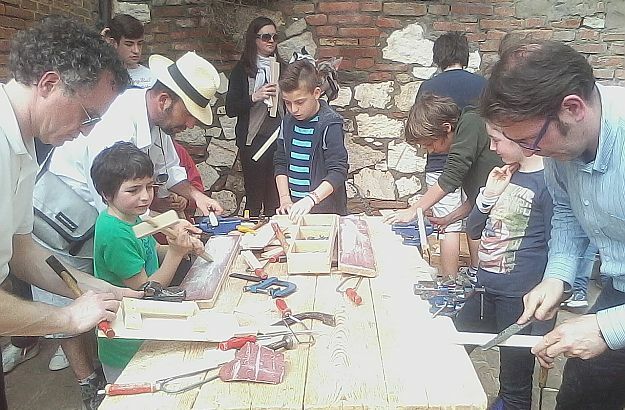 But if you put forward an asparagus hunt through the Tuscan hills, chances are your offspring will happily volunteer for the journey – my daughter did, for instance! By the way, should you wish to experience this special asparagus quest with one of our licensed nature guides, we will gladly organize this for you. 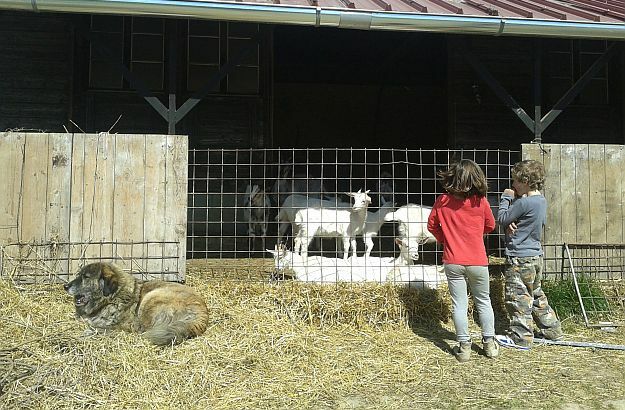 And here are, still in the flora and fauna sphere, three more options that will leave your kids wanting more… A visit to one of the many beautiful nature reserves of the Maremma. An unusual cheese making course – goat petting included! – at an organic farm in the Val d’Orcia. And the great fishing excursions proposed by Paolo the Fisherman along the Tuscan coastline. Now on to “sculpture parks”… As the name implies, they combine art and nature, and most of the works exhibited in them are intended to be touched, climbed and physically explored. They will transport your kids to cloud nine. Some happen to be in the vicinity of our Trust & Travel villas in Tuscany and the Veneto. 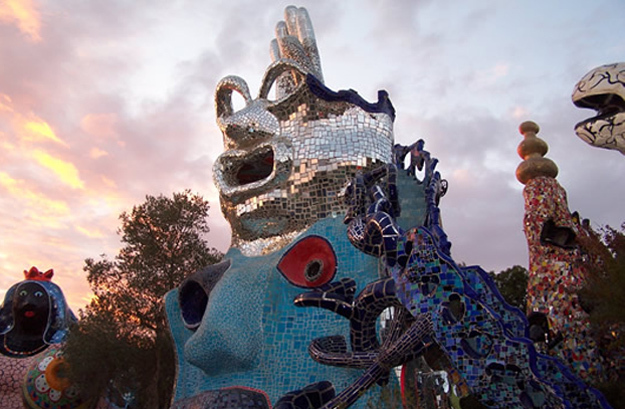 I strongly recommend to you the following three… Niki de Saint Phalle’s marvellous Tarot Garden, with its Emperor and Empress, Wheel of Fortune and High Priestess, just to mention three of its permanent dwellers. Then, there is the astonishing Daniel Spoerri sculpture park in the Val d’Orcia, with its Grass Sofas, Eternal Lunch and Nine Astrological Aspects, among other curiosities… Finally, you should also take your children to the breathtaking Arte Sella land art project in Northern Italy’s Alps. By the way, the Arttrav website has a very good overview of most of the art and sculpture gardens which can be visited in Tuscany. How about festivals now? Kids love them too! Almost every village, town or city in Italy holds several food, art and music festivals a year. If, while travelling, you come across a street sign pointing to a “sagra dei tortelli” or “sagra del cinghiale”, consider your family dinner settled. A festival focusing on local food is often called a sagra in Italy, and it always attracts a large number of locals. One of my favourites is the artichoke festival held in spring in the town of Chiusure. I also recommend the olive oil festival of San Quirico d’Orcia, this one held in autumn. Aside from food, music is also something children enjoy a lot during festivals. In the course of your next holiday, you may be surprised to discover, lying dormant in your kid, a precocious jazz or classic music aficionado! 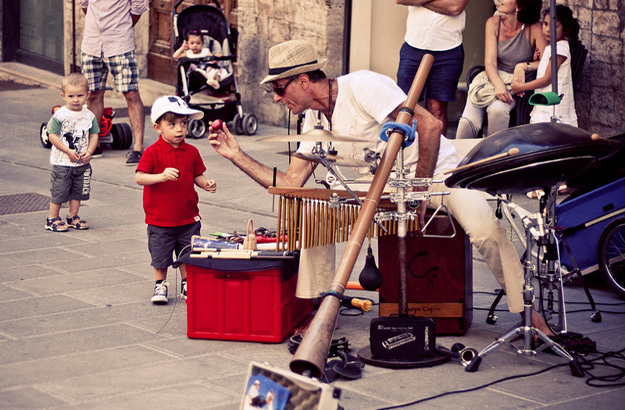 This is what happened to me when I took my daughter to the Umbria Jazz Festival in Perugia as well as to the Amiata Piano Festival – where the entrance for kids is free! Finally, water and children are as thick as thieves, there is no secret about it. For a summer family holiday in Italy, booking a villa with a swimming pool would be, of course, my first recommendation. However, you can take your offspring to their favourite element in many more ways. The gorgeous Tuscan littoral with its long sandy beaches and beautiful bays is one of them. In the town of Talamone, for instance, you can jump right off the rocks into the Mediterranean Sea! In spring, autumn and winter, when the swimming pools of our villas are closed and the sea waters are too cold for a paddle, a trip to one of the Italian hot springs will make for a great outing. I particularly recommend the famous rock pools of the Saturnia thermal baths, which my daughter and I get wild about every time we go there. Many hot springs can be found in Tuscany; have a look at this online map to see where they are located. Where do the children play?… Well, you know where now!